This is a story about the plight of a people trying to preserve their history from the powers that be of Jacksonville Florida who threatens its existence with pending demolition, this story is that truth be known about this small spiritual community of Jacksonville Florida whose foundation goes back to the 1920’s this is the story of place named ADORKAVILLE after a African princess who came to American to redeem African Americans…..
I’m writing this story that the world learn of the plight of some humble people. Come rest yourself from weary travel sit with me under these tall pines of time I will now give you a little history of this phenomenal enigma in time, open your hearts and mind to this great mystery of love. You will find this drama to be tragic upon the stage of time ,but very uplifting as was the intent of it’s creator the divine mother kofi,like Jesus she moved among some who received her not, and for her love for her people was recipient of the same lot. “ work until the birth of Jesus. Before Jesus ascended into heaven, he promised to send the Holy Ghost (Acts 1: 8 – 9). One day his disciples gathered into an upper room (Acts 1:13 – 14). Also represented at this meeting were men and women from Jerusalem and other nations upon the Earth (Acts 2: 5 – 11). The group was a universal body of Christians or Christ followers and believers, a non-denomination with a universal belief for “whosoever will”. Thousand of years past and man continued sin. God was not pleased with mankind, especially with those who transgressed against him and refuse to discontinue their wicked ways. By the late 1400’s and 1500’s, slavery was used in Africa by Europeans to further their economic expansion and colonization into America and the Caribbean Islands. God forewarned his people of the impending acts of trickery, deceit and containment. However, the warnings were unheeded. Many of the western coastal countries of Africa, including Ghana, Liberia, and Ivory Coast were manipulated, misled or in some cases participated in the enslavement of their own people. Men, women and children were forced onto slave ships. Fearing the treatment of an unknown western world, women tossed their children into the shark infested Atlantic Ocean. It is estimated that over three hundred years, at least 2 million people were forced into slavery. God heard the cries and prayers of African people in America as they endured hardships. Families were divided and sold at auctions, like farm animals. African women were raped, the men beaten and killed. 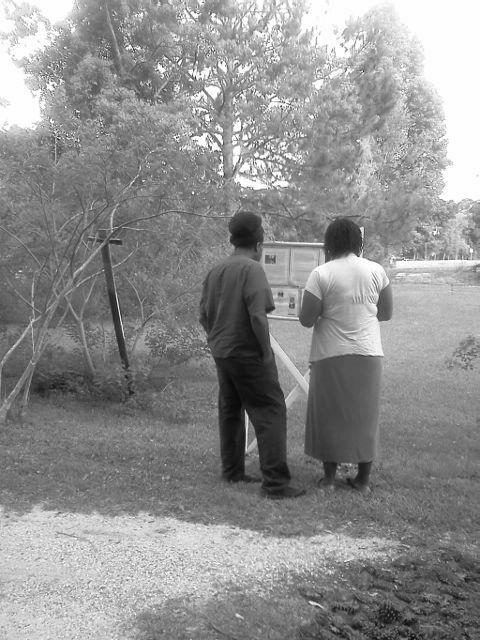 Children and adults worked on plantations owned by white settlers. Yet, God, being All Mighty and Merciful, answered their prayers. God freed the slaves, just as God delivered the Children of Israel from Egypt. God worked on the hearts and minds of government officials and the nation to abolish slavery. At the end of slavery and many years afterwards, conditions for African Americans were deplorable. Many were abused and faced discrimination from those who refuse to accept the end of slavery. 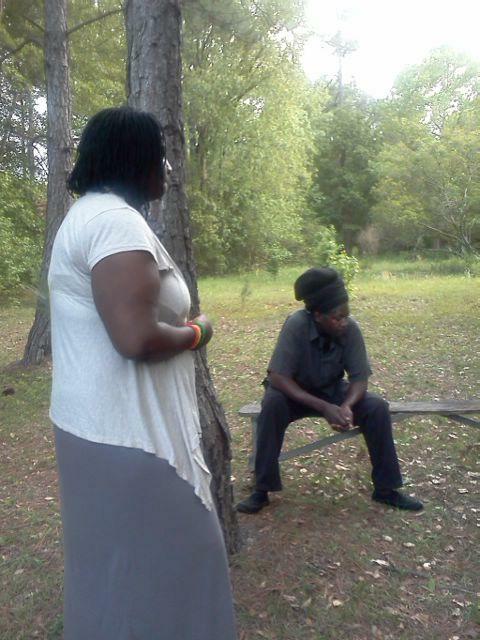 Nonetheless, African Americans prayed to God for freedom from oppression and a better life for their children. God heard the prayers of his people. As with many occasions during biblical history, God sends a messenger or prophet to deliver his message. 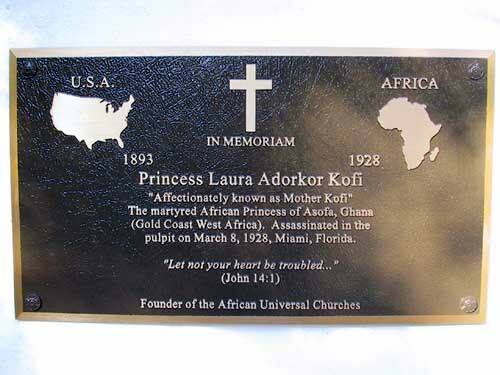 In 1926, God sent an African Princess, Laura Adorka Kofi to come to America to deliver his program of deliverance, salvation and empowerment. Through dreams and visions, God told the Princess and her father that, he (God) wanted to use the Princess until he could find a man to do the job. The African King and leaders in Ghana (formerly Gold Coast) endorsed her plan and provided her with legal documents to represent them. Salvation - Accept Jesus as the Savior and discontinue sinful ways. Redemption - Return to God as a God-fearing people. Empowerment – Self-help, education, economic development in and between America and Africa. The ministers and community leaders in New York City and Detroit would not accept the program that Mother Kofi brought to America. She connected with Marcus Garvey until he was arrested. Disagreements with Garvey followers and opposition from religious leaders lead her to realize that she would have to start a church and run God’s program through the church. Mother Kofi named the church, The African Universal Church and Commercial League. Mother Kofi established the church with the term “universal” because as being part of the name of her church in Ghana, she reaffirmed the establishment of a Universal Church as did the Apostles and the men and women from other nations around the world (Acts 2: 5 – 11). 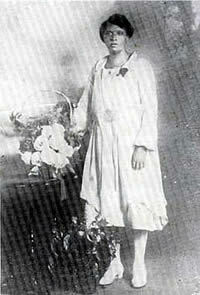 In 1927 – 1928, Mother Kofi visited the southern states of Alabama, Mississippi, Georgia and Florida. Thousands of people who heard her speak enrolled their names into the church. Mother Kofi knew that she would give her life for the cause of Gods’ Program. On March 8, 1928, Mother Kofi was assassination in Miami, Florida, preaching the gospel. Prior to her death, Mother Kofi foretold of a man that was little but “mighty loud”, would establish the governmental (administrative) affairs of her program. His name was Rev. Nyombolo, a/k/a, Lil’ Brother. In early 1930s, Rev. Nyombolo became associated with the African Universal Church, after being invited by officers to visit the church. He pledged to continue the works started by Mother Kofi. He created the governing foundation and organizational structure of African Universal Churches. He was instrumental in developing Christian and cultural programs for the African Universal Church. He established a bi-lingual order-of-service of English and Bantu. He also worked as an instructor at Walker Business College. Rev. Nyombolo held several college degrees and spoke at least six different languages. After sending representatives to Ghana, a new church was started as the Missionary African Universal Church, Inc. Other African Universal Churches wanted self-autonomy and made it difficult for the Churches to act under one governing body. Ultimately, Rev. Nyombolo committed to leading the Missionary African Universal Church the way “God told him to do”. There were other individuals that dedicated themselves to the program. Bishop Eugene P. McCarroll, a/k/a “Tshaka”, John Townsend, Deacon Longmire, Deacon Nettles, Ernest Sears, and many others committed themselves to the Program that God entrusted to Mother Kofi. Many years later, Rev. Nyombolo became ill and was hospitalized. He died on July 7, 1970. Thereafter, the Assistant Pastor, Rev. Oliver Lewis became the pastor of the church. Rev. Lewis was successful in the creation of the Mandarin "Oak Tree" Mission Ministry many years before he became pastor. Rev. Lewis led the church similar to Rev. Nyombolo. Rev. Lewis died unexpectedly in October 20, 1974. Lifetime member, Rev. Robert E. Keyes, II became pastor of the Missionary African Universal Church on July 17, 1977. Rev. Keyes continued the ministry and encountered numerous struggles and challenges. The State of Florida required all churches that were incorporated prior to 1970 to be re-incorporated, with by-laws. Franklin Ajaye, a former, but distant member of the African Universal Church family coerced members and officers to nullify the church doctrines and resign their positions. Faced with an ensuing division of the church body, Rev. Keyes 'stood fast' and was successful in preserving the principles and doctrines of the church. Opposing members living on church property refused to comply with county tax assessment on non-sanctuary and parish church properties. Opposing members elected a new board to manage the church. Before the issue could be resolved, Rev. Keyes died November 26, 1985. Rev. Elbert Moreland, Jr. served as associate pastor in December 1985 until he became pastor in December 1986. By the spring of 1987, senior member and Trustee Matilda Horn endorsed Rev. Moreland's desire to "leave the past" and start a new church, at a new location. Leased buildings were used as a sanctuary until a permanent site was found. On May 20, 1988, a meeting was held by the congregation to start a new church and select officers. Rev. Moreland named the church, Tabernacle African Universal Church; Inc. Tabernacle African Universal Church was established as the home office of Founder’s Program. The soon-to-be new church and Founder’s home office instituted the Princesses’ ministry and Rev. Nyombolo’s principles and teachings that were neglected by members of the original church. 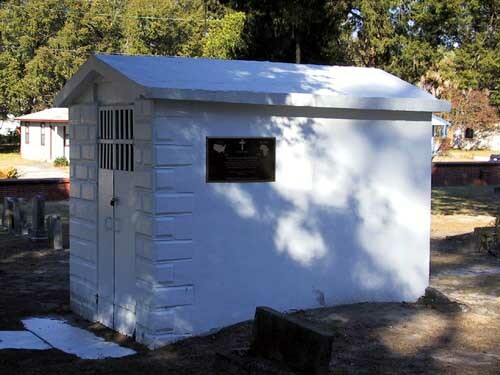 The chartering officers of the founder’s home office, Kubi Keyes, Bertha Mae Moreland and Pauline Keyes, incorporated the church, in the State of Florida. Under Rev. Moreland's leadership, the church started a fellowship program, obtained a new church building and increased the membership. God truly blessed the ministry so that many young people found the church to be a true inspiration to their lives. On June 1999, the Lord led Rev. Moreland to pursue his ministry elsewhere. Acquired transportation for pick-up of members and guests. For this is indeed a spiritual matter. Mr. Cody 904 - 255 7033- senior. We ask you to call these numbers and express your concerns that Adorkaville be aloud to be resurrected to its orginal state in time, we ask your support in what ever way you can. Note that the opposing factor of the Adorkaville is located in another part of Jacksonville Florida also called kings Road under the leadership of the Keyes Family. coincidental ? journalist Haiku and Ital Iman I visits Adorkaville to get the story first hand from the daughters of the founder..
in a hermeticly sealed coffin etc..